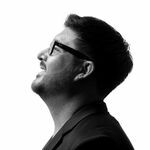 Jeremiah's work is about helping people reframe the way they think about brand development, culture, creativity, and leadership. Jeremiah has worked with Fortune 500s, entrepreneurs, and startups to help them discover, iterate, and develop their emotional-value. He is a speaker, Lean Brand practitioner, and bulldog lover. 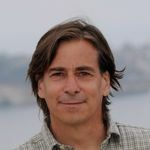 He is the co-author of the New York Times Bestseller, The Lean Entrepreneur and the co-author of The Entrepreneur's Guide to Customer Development. Brant is a sought after speaker, advisor and mentor. ME, GRIMLOCK. AM MOST FAMOUS ROBOT DINOSAUR ON ENTIRE INTERNET. THIS FACT. HERE IMPORTANT FACTS: 1) ME HERE TO HELP WORLD BE LESS STUPID, MORE AWESOME. 2) WHY TALK THIS WAY? BECAUSE AWESOME! 3) GRIMLOCK POWERED BY COFFEE, BEER, BACON, HUMANS. ALL DELICIOUS. 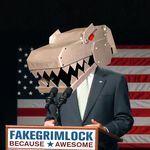 4) WHO REALLY GRIMLOCK? ME AM! Success! 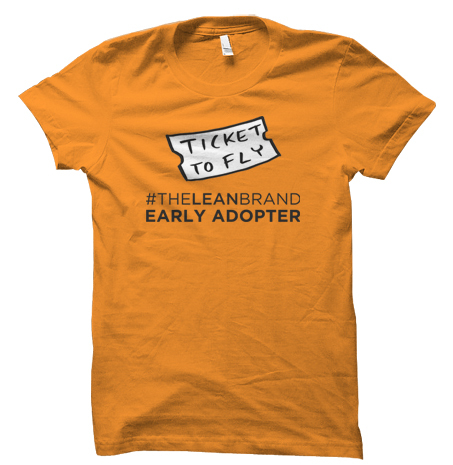 The Lean Brand sold 770 pre-orders by June 13, 2014, and will be published by Market By Numbers Press. • Your name printed as a Lean Brand Early Adopter in every edition of the book – forever. • Recognized as an Official Sponsor in the printed Limited Edition Hardcover, the commercial release edition, and the final Ebook (PDF, ePUB, MOBI). The Lean Brand teaches you how to develop meaningful relationships with your audience based on a shared journey of value creation. 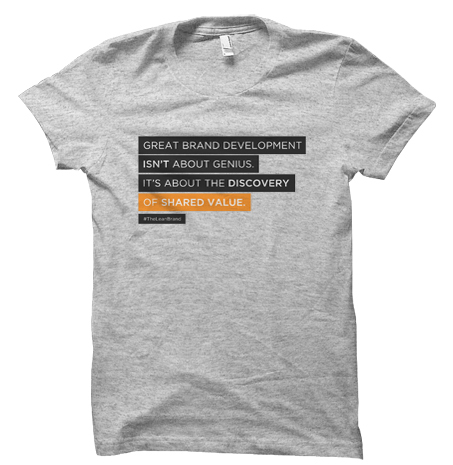 Today, great brand development isn’t about genius, it’s about the discovery of value. In a world where customers are smart, competition is fierce, and change is easy, business success cannot rely on a tight message, a pretty promise, and a large megaphone. Instead, success depends on inviting customers on a shared journey toward creating real value. The Lean Brand shifts the paradigm of control from the 40th floor boardrooms of an agency’s “ivory tower” and places it in the hands of startups and organizations willing to experiment, validate, and build long-term relationships with their customers. The Lean Brand is the first book to apply lean principles to brand development to help organizations create value-based, passionate relationships with their audience. The Lean Brand is not new jargon for old thinking, but an entirely new approach to brand development to help your company adapt to an evolving marketplace. CHAPTER 1: WHAT IS A BRAND? Any productive discussion about brand should begin with a clear understanding of what we mean by the term, “brand.” Chapter 1 explores the definition of brand and proposes a Brand Language Ecosystem to make the term, “brand," meaningful once again. The world has changed in dynamic ways all around us, yet brand development has remained relatively static. Chapter 2 is an honest look at the status of branding today and challenges you to reject the cultural myth of branding genius and make room for new thinking once again. The purpose of Lean Brand development is to discover the emotional-value being created and for whom that value is being created. Chapter 3 shows you why Lean Brand development favors innovation, through experimentation, managed by validated learning. To change our branding approach we need a framework for developing validated and valuable brands. Chapter 4 lays out the Lean Brand Framework and challenges you to cross the development gaps necessary to form a lean brand. Who are you? What do you stand for? What is your WHY? This is your unique rallying point defining what you’re fighting against and what you’re fighting for. Chapter 5 explores how to form relationships in the synchronicity between who you are and who your audience wants to become. Artifacts are expressions of your story. Whether it’s a pink moustache on a car or a hackathon on Google’s campus, the goal is to find artifacts that tell your story and engage people with who you are. Chapter 6 teaches you how to develop artifacts that create value for your audience. Stop selling and start inspiring. How to decipher the medium, build a message, and deliver it to your audience in a compelling way. Chapter 7 shows you how to create invitations that are active calls for people to join your story. Generally, products create functional-value through the tasks they accomplish. Brands, however, create emotional-value through the human connections they facilitate. Chapter 8 focuses on discovering your value stream and measuring the emotional-value you are creating. To validate what’s working and what isn't, you must experiment and test. Chapter 9 provides viability experiments for you to start testing your brand development efforts outside of your building. Brand growth centers around growing your audience, growing your reach, and transitioning your minimum viable brand into a platform to grow from. Chapter 10 shows you how to grow your brand development in a sustainable way. There is no doubt lean thinking is impacting the enterprise. Chapter 11 is about applying Lean Brand principles to existing brands using parallel innovation techniques between product development and brand development. Both theory and tools are necessary in this new world of value-creation. Chapter 12 introduces the Lean Brand Stack – a set of tools to help you apply the principles throughout the book and invites you to be a part of The Lean Brand movement.